In 2018, the US unemployment rate dropped to 3.7 percent, representing a 50-year low. While this is good news for the economy, low unemployment rates make it harder for businesses to find good quality candidates. And, with Generation Z starting to enter the workforce, there is more pressure on business to attract, engage and retain the best workers. As such, 2019 is set to be a year of great change in the workplace. As well as an emphasis on flexibility and diversity, there is a clear need to adapt to and maximize the potential of upcoming technological advances. Here we take a look at the top workplace trends you should expect to see in 2019. With constant technological advances, standard university degrees are having a hard time keeping up with the pace. Not to mention, future workers will be under increasing pressure to ensure they have a relevant skill set. This is where nano degrees come in. These hyper-specific education programs offer certifications in areas such as AI and data science. Nanodegree programs tend to have low fees and a flexible work schedule. And, they may even be able to offer personalized curricula in the future. In the coming years, job applicants may have a collection of nano degrees rather than one degree from a single institution. And, for those of us with degrees already, it’s possible that we’ll need to supplement our education with nano degrees in order to stay current. Although there’s nothing new about remote working, what is new for 2019 is that it’s set to become the norm. And, not just for big companies either. Many small businesses will adopt this practice as a way to attract talent from farther afield and reduce annual costs. The big debate is whether remote working is better or worse for productivity. Traditionalists believe that in-office workers are more effective while working from home is an excuse to slack off. But evidence shows that at-home workers are more productive. Often, this is because they can dedicate more of their day to actual work, rather than commuting and arranging their life around office hours. One of the key emerging business trends in 2019 sees employers focusing on ways to integrate AI without losing the ‘human’ factor for example a pdf to word converter. Large and small businesses alike will rely more and more on AI to measure and respond to client engagement and sales trends as a way to improve the customer experience. This includes email marketing and social media ads, as well as using barcodes to drive ordering and inventory processes. And, you can learn more here about how barcodes can increase workplace efficiency. Augmented reality (AR) is something that’s been touted for decades, but it wasn’t until the success of ‘Pokémon Go’ in 2016 that AR really hit the mainstream. But, AR is set to have a huge impact on the workplace. In fact, AR systems are becoming increasingly common in professions which involve complicated manual tasks. From jet engineers to cosmetic surgeons, AR is giving many sectors a whole new way to receive and visualize data. And, experts in business trends predict that it won’t be long before office workers start using AR to type on virtual keyboards and create virtual models in the air. We’re all used to being able to personalize most of our professional and private lives to our exact specifications. As such, it makes sense that the concept of a one-size-fits-all pay schedule may be phased out in the future. In the future, businesses will give employees access to their own digital payment accounts. These will allow workers access to their pay how and when they choose. As such, traditional weekly or monthly pay cycles will evolve into personalized schedules tailored to the needs of each worker. Rather than waiting a whole year for feedback, business trends in 2019 will see workers receiving constant appraisals from their team leader. Regular performance checks significantly improve employee engagement, which in turn helps with retention. Plus, giving employees ongoing performance reviews also improves the customer experience, so it’s win-win. One of the craziest future workplace trends we’ve seen has to be the idea of swapping a shot of espresso for a shot of electricity at break time. The concept stems from our inability to keep focused for more than 20 minutes or so. While caffeine helps to extend this performance window, zapping the brain with electrical currents proves to be more effective. In fact, studies using transcranial direct-current stimulation (tDCS) showed that participants could maintain their concentration on repetitive tasks for up to six hours, with no drop in performance. With more employees choosing where they work and how they get paid, it’s only natural that set daily hours are on course to become a thing of the past. A shorter working week is what 32 percent of office workers would prefer. And, it seems that this concept could be beneficial for all parties. New Zealand company Perpetual Guardian trialed a four-day week for two months in 2018 and found it to be a complete success on all sides. Not only did workers report less stress and a better work-life balance, but they were also more productive. As a result, they’ve now adopted a shorter working week on a permanent basis. A diverse and inclusive workforce isn’t just about ticking boxes. Companies are now becoming more aware of the business benefits of diversity in the workplace. As a result, more organizations want to make genuine headway in this area of hiring practices. But, the focus will also be on widening the terms of reference to ensure that businesses cover more demographics. This includes mature age people, those who identify as LGBT+, and people with disclosed disabilities. With such an emphasis on flexibility for 2019 and beyond, employers will be under pressure to demonstrate that work-life balance is a priority. But, they’ll also need to decide where their boundaries lie. This could include giving employees clear guidelines about out-of-office emails, as required by the 2017 French labor law. Or, some employees may choose to offer a variety of flexible packages, which could also be performance-based. 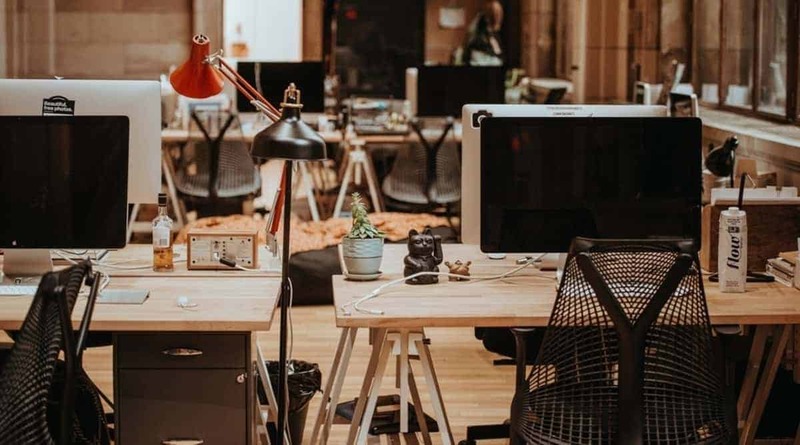 As these workplace trends show, 2019 is set to be a year of great change in the business world. As such, there is an emphasis on diversity and flexibility, while businesses must also find ways to utilize technological developments to their advantage. But, with businesses moving towards more remote working and flexible hours, it’s clear that an excellent internal communication strategy is even more crucial for optimum team-building.